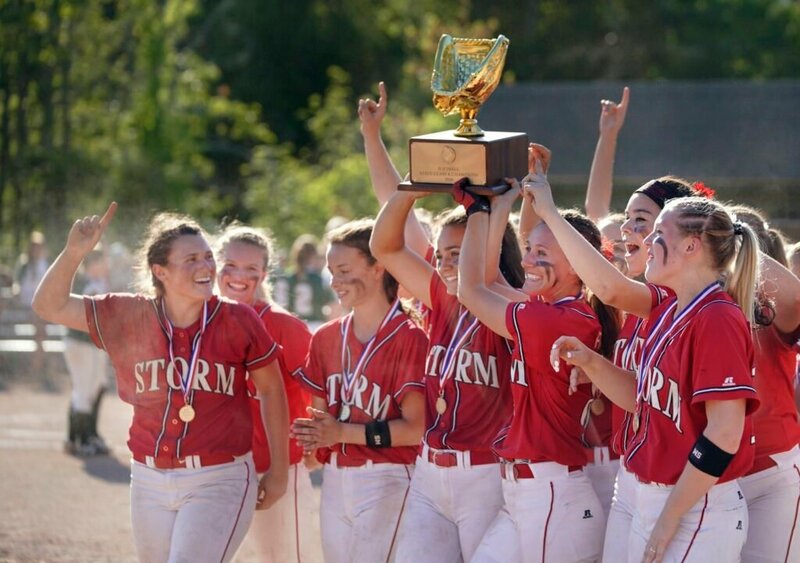 It’s probably no coincidence that five of Scarborough High’s six Class A state softball championships since 2007 have occurred in odd-numbered years. Those also happen to be the years that the Red Storm go to Florida for spring training. Scarborough is the two-time defending Class A state champ, entering the season with a 40-game winning streak. 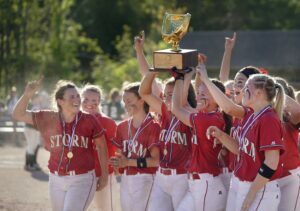 Last year was the first time the Red Storm won the title in an even-numbered – or non-Florida – year. The only odd-numbered year that didn’t result in a state title was 2015, when the Red Storm lost 1-0 to Messalonskee in the state game. Scarborough, which graduated eight seniors from last year, left for the ESPN Wide World of Sports Complex at Walt Disney World in Orlando last week and will return Wednesday. The Red Storm are not the only Maine high school team playing softball at Disney. Noble, Caribou, Hampden Academy and Presque Isle are also there. The package for the trip includes transportation, lodging, meals and passes to the parks. Griffin said it costs between $2,300-$2,500 per player. All the money is raised by the players and their families. Scarborough brings 16 players. Scarborough has eight games scheduled, and two practice days. Noble has 10 games scheduled. FLORIDA ISN’T the only southern destination for local teams seeking warmer weather and better competition. Sacopee Valley of South Hiram traveled to Gatlinburg, Tennessee, for five days of games and practice at the Cal Ripken facility in nearby Pigeon Forge. It’s the second straight year the Hawks headed there. Coach Brian Hink said last year’s experience was a factor in Sacopee Valley’s run to the Class C South final. Hink said it costs between $8,000-$10,000 for the trip, all raised by students. The school provides a couple of minivans for the team to drive there. YORK WILL HAVE a busy stretch later this month with home games on three consecutive days: April 29, 30 and May 1.